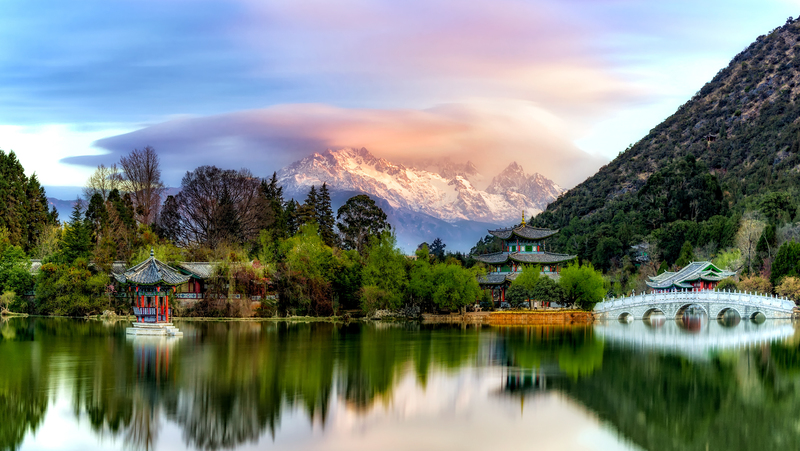 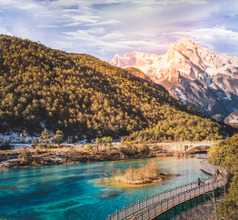 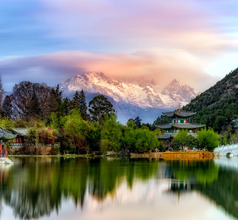 The Yulong Xue Shan, also known as the Jade Dragon Snow Mountain is located near Lijiang, Yunnan Province, China. 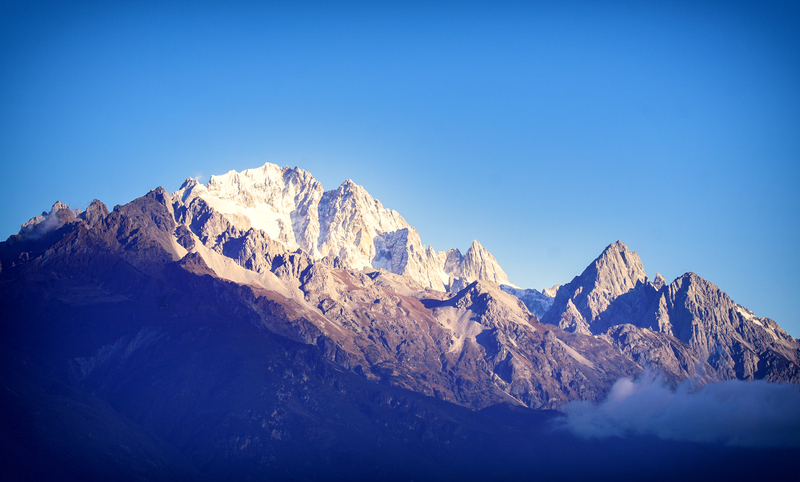 It is beautiful mountain range with the highest peak being the Shanzidou at 5,590 meters from the sea level. 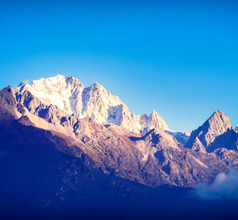 On its northwestern side is a popular route used by trekkers called the Hutiao Xia (Tiger Leaping Gorge). 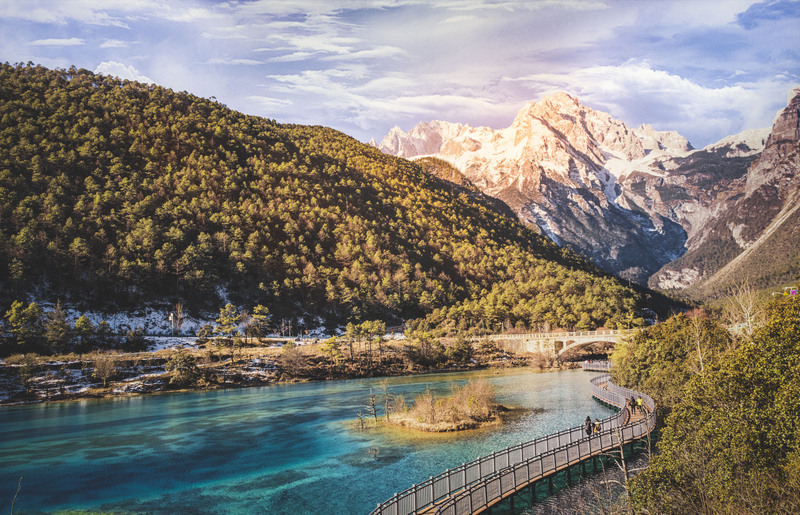 The massive waterfall in this Gorge formed by the upper Yangtze River is a spectacular sight. 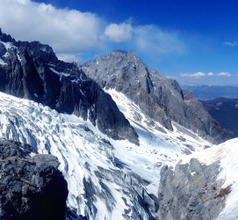 It descends between the Haba Snow Mountain and the Jade Dragon Mountain. 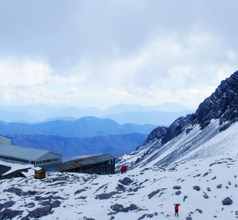 Climbing, hiking, trekking, and camping are some of the popular activities.